A fascinating man. An impossible situation. Thousands of lives at stake. And he pulls off a miracle. That sounds like a formula for a novel, and this book does read like one. But the story is true. One Brief Miracle is the dramatic tale of how legendary American diplomat Philip Habib worked out a peaceful end to the 1982 Israeli siege of Beirut. Israeli Defense Minister Ariel Sharon had set in motion a mammoth blunder. His invasion of Lebanon to destroy the PLO turned into a flailing siege of Beirut. Only two outcomes were plausible: a bloodbath or a bargain. Philip Habib’s singular purpose was to stop Sharon. The two were rivals in a race: While Sharon raced to conclude the siege violently, Habib raced to conclude it peacefully. 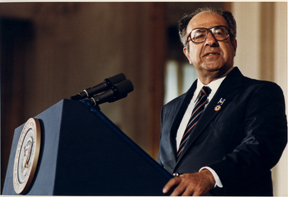 Thwarted at every turn and risking his life to fight impossible odds, Habib pulled off what George Shultz calls a miracle. 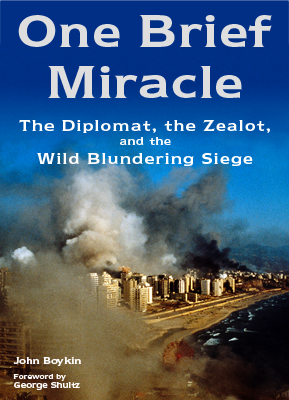 One Brief Miracle is the riveting account of this masterwork of high-stakes crisis diplomacy. For a generation, the inside story was classified. This book reveals what really happened behind closed doors. It is based on 150+ hours of interviews with participants and thousands of pages of government documents that the author got declassified for this book, all meticulously documented. Its hardback edition (titled Cursed Is the Peacemaker) received the American Academy of Diplomacy book award. 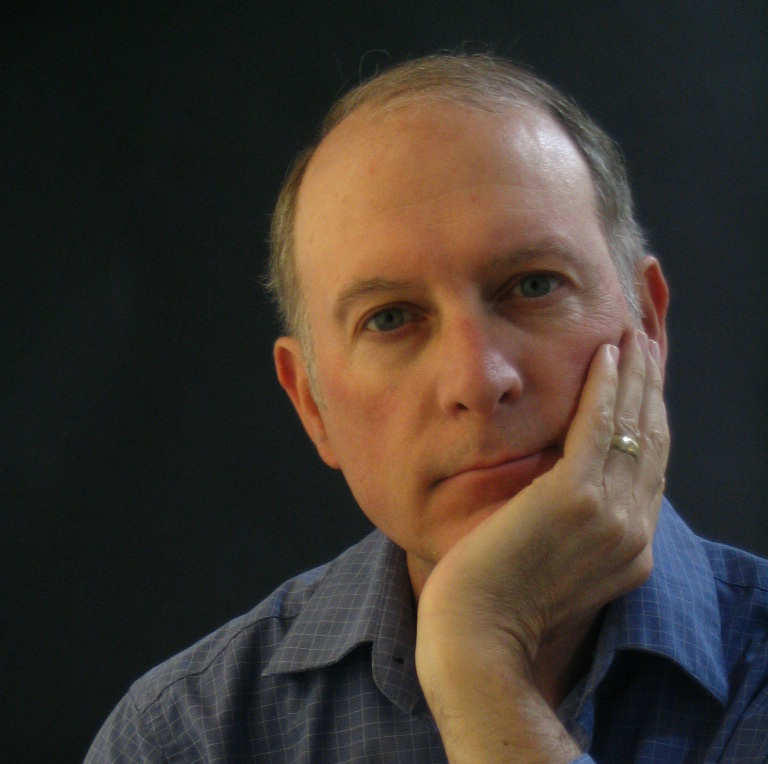 John Boykin is a writer and information architect in the San Francisco Bay Area. He was an editor at Stanford Magazine and Wadsworth Publishing and a staff writer at Krames. He spent 7 years (over a 9-year period) researching and writing this book. As an information architect, his clients have included Macy's and Bloomingdale's, Walmart, Blue Shield, Bank of America, Janus, Visa, NBC, HP, Symantec, and Mitsubishi Motors. The book is available only as an eBook. The hardback edition is out of print. John Boykin has done an outstanding job of portraying a preeminent peace negotiator and profoundly complex man. 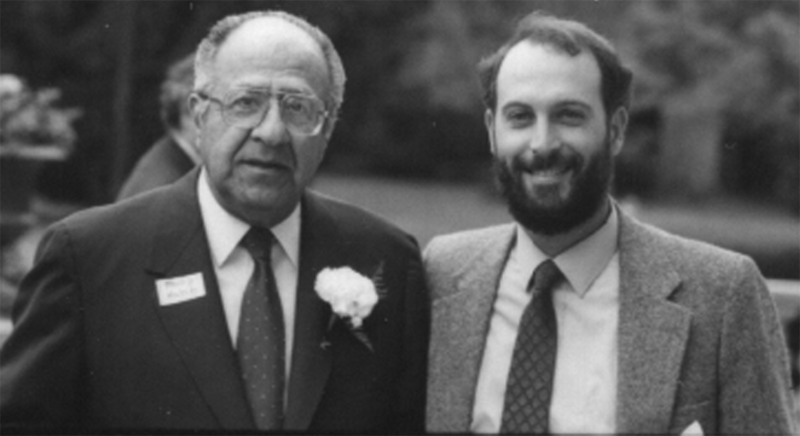 Part pragmatist, part idealist, Phil Habib possessed a powerful personality--brilliant, profane, tenacious, and courageous--a dedicated career diplomat who was the one sent when the issues were the most intractable. An honest and compelling look at the delicate world of US diplomacy through the eyes of the indefatigable Philip Habib. It's an essential addition to the growing literature of both the Middle East peace process and the Cold War. Highly recommended! [Phil Habib's agreement in Beirut was] a work of psychological genius.... The world needs Phil Habibs, so anything that can be done to learn from his life and experiences that will help others try to emulate him is a real contribution. For me, that is the real point of this book. This is the first, the only, and certain never-to-be-bettered study of the most outrageously talented, beloved, and influential American diplomat since Benjamin Franklin. Like Franklin, Phil Habib was a poor boy who picked himself up from the rough and tumble streets of a city and transformed himself into the quintessential American who became both a bewildering puzzle and a welcome friend to foreign leaders when they found themselves in trouble. John Boykin captures the wily, witty Phil Habib in marvelously fast-paced and beautifully crafted prose. John Boykin's masterful analysis of Habib's crowning achievement, walking Israeli Defense Minister Ariel Sharon back from his disatrous 1982 invasion of Lebanon, ought to be required reading for anyone dealing with the Middle East.... Boykin's account of Habib's brusque but effective tactics ... amounts to a virtual school on diplomacy....Boykin's account is worthy of close study by today's policy-makers. Phil Habib was the outstanding professional diplomat of his generation, and John Boykin has done American diplomatic history, and the Foreign Service, a great service by bringing Phil to life in this book, filled with his love of life and his dedication to the Foreign Service and the nation. For all of us who were privileged to work for him, this book will bring back the memories of this great patriot; for those who did not know him but care about America's role in the world, this book belongs on your shelf. The extent to which Boykin went in documenting everything he wrote is revealed by the fact that there are 125 pages of notes for 318 pages of text. There is a great deal of detailed, factual information here that the serious student and the historian will find invaluable....Highly recommended. [This] is a wonderful piece of work, full of action and the tensions of the time, a unique account of diplomatic genius and the tenacity of one lone American. Just as Habib broke new ground for a diplomat, this book does the same for diplomatic history. It is extremely well sourced. Boykin has caught the man, the maddeningly complex environment surrounding his work, and a string of setbacks that would have felled anyone but Phil. His portrayal of Sharon and Begin's actions is riveting. This book fills a gap in the understanding of a vital chapter in recent Middle East history. For Israelis, it will recall the most complex and harrowing time in the evolution of their remarkable country. For all readers it provides background to be found nowhere else on what is now happening. It is indispensable reading for anyone interested in Israel. John Boykin has gone to great lengths to ensure the accuracy of the accounts in this resounding book. Philip Habib was an extraordinary man, and this volume brings his story to light in a manner that is uniquely objective and at the same time highly personal. Works of this nature--particularly about those who embody U.S. foreign policy--are very needed and should be highly valued both within the U.S. and abroad. I found [this book] to be an extraordinarily intimate story of an American diplomat and his work. It is a tragic story, with heroes and villains, filled with detailed accounts of critical events brought to life by fast paced narrative. It is a tribute to Phil Habib, but it is as much a history from the perspective of Habib and those around him. Not everyone will like or agree with the way the key players during the period of Israel's invasion into Lebanon are characterized, but that is to be expected. Academics and policy professionals will appreciate the insider's view of events and the insight it yields into how diplomats and governments behave in crisis. The book is a valuable addition to the literature treating developments in a region that remains in turmoil twenty years later. An engrossing account of Philip Habib's high-wire diplomatic intervention to stop the spread of chaos in Lebanon and prevent a wider war. Habib's angry jousts with General Sharon dramatize graphically the age-old conflict between diplomats and soldiers about how best to achieve peace. A vitally important, hard hitting, and time-sensitive book. It provides valuable insights into Ariel Sharon and the Israeli Defense Forces. Every US Marine arrived in Lebanon with respect for them and departed sadly disillusioned. Habib was a giant! The author's well-documented account depends almost entirely on primary sources.... It makes an important contribution to the study of American diplomacy by providing a blow-by-blow description of how one brilliant diplomat carried out an extremely important mission....Boykin's book is very helpful in gaining an understanding of Israel's present policies in the occupied territories. Full review. Philip Habib was a unique American diplomat. Over and above his expertise and profound knowledge of the Middle East, he was a mensch: as good as his word, decent, trustworthy, and humane. Before all else, Philip Habib's primary concern when addressing the challenges of war was to stop the loss of life and the suffering of the warring parties. Perhaps no document is more relevant to the present crisis in the Middle East than John Boykin's wonderful book about one of the unheralded diplomats of our time, the late Philip Habib.... Some readers may turn to the writers of fiction who depict spymasters and espionage for their hours of pleasure. But I find nothing more fascinating than a blow-by-blow description of diplomacy at the highest level providing intrigue and mysterious plots actually taking place in history.